When Helen, Menelaus’ wife, was abducted by Paris of Troy, Agamemnon commanded the united Greek armed forces in the ensuing Trojan War. Greek forces gathered at Aulis. However, weak winds prevented the fleet from sailing. The priest Calchas said the winds would be favorable if Agamemnon sacrificed his daughter Iphigenia to the goddess Artemis. Agamemnon persuaded his wife Clytemnestra to send Iphigenia by deceptively telling her that the purpose of his daughter’s visit was to marry her to Achilles, the greek heroe. The trojan War ended with the Achaean’s (or greek’s ) victory. The Greeks tricked the Trojans. They made them know that they had won the war by sending all their ships into hiding. This made the Trojans believe they were gone. As a parting gift, the Greeks had left a wooden horse which the Trojans brought into their city. Inside of it there were lots of achaeans soldiers. Once in the city of Troy, the Greeks came off, slaughtered the Trojans and desecrated their temples. 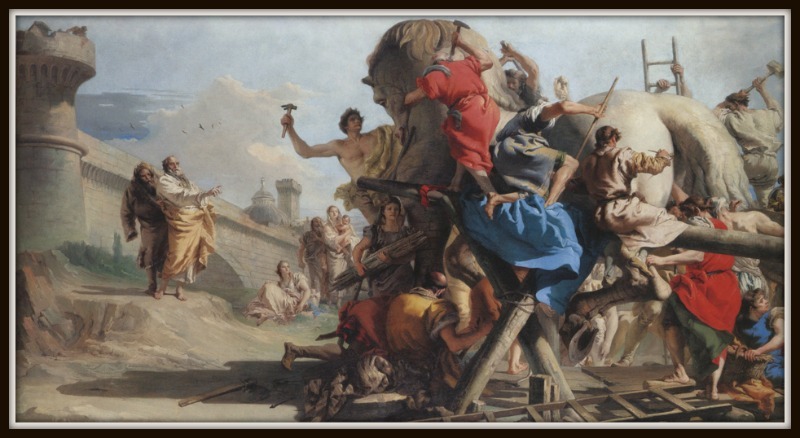 Click above for further analisis and details on Tiepolo’s painting. Slideshare feature. The war lasted ten years and ended with the wooden horse episode and after the deaths of many heroes, including the Achaeans Achilles and Ajax, and the Trojans Hector and Paris. During this period of Agamemnon’s long absence, his wife Clytemnestra began a love affair with Aegisthus, her husband’s cousin. Upon Agamemnon’s return from Troy, he was murdered (according to the oldest surviving account, Homer´s “Odyssey”) by Aegisthus, the lover of his wife, Clytemnestra. In some later versions Clytemnestra helps him or kills herself Agamemnon, like Aeschylus tells us in “The Oresteia”. The best-known version of Agamemnon ‘s death and the following events related to the war of Troy is that of Aeschylus’s “Oresteia”, a three -act drama of family fate, like the “Oedipus trilogy” by Sophocles. The term “Oresteia” originally probably referred to all four plays, but today is generally used to designate only the surviving trilogy. The parts of “The Oresteia” are: First: “Agamemnon”. Second: “The Libation Bearers“. Third and last play: “The Eumenides”. In the first one, (“Agamemnon”) Clytemnestra herself murders his husband Agamemnon. In the second part (“The Libation Bearers”) Clytemnestra is murdered by his son Orestes. In the third and last play,”The Eumenides”, Orestes is judged by a jury composed of Athena and twelve Athenians. After being counted, the votes on each side are equal. Athena declares that tied juries will result in the defendant (Orestes) being acquitted as mercy should always take precedence over harshness. For further details on this topic, check out this article: “Background and Images for the Oresteia“. Te lo voy a enviar como email a la brevedad. Muy interesante el post. la Manzana de La Discordia es asimismo una zona del Paseo de Gracia del Ensanche de Barcelona. El nombre proviene de una rivalidad entre Domènech y Antoni Gaudí. Gran aporte y por mi parte creo que la controversia no es necesaria. Ambos, grandes artistas y arquitectos. El bing traductor me dijo que no puede traducirlo… lo tienes en español? Te lo puedo enviar a tu correo electrónico con mucho gusto… En un rato te lo paso. Lo leo enseguida… buen tema, de hecho. Merci, Aquileana pour ce bel article aux si nombreuses références mythologiques. L’histoire de la pomme de discorde, celle de la belle Hélène et de guerre de Troie ont inspiré tant d’artistes depuis des siècles. Merci à toi Elisabeth pour ton commentaire. C’est exactement cela, Aquileana, je dis souvent que les arts tournent autour des mêmes sujets depuis toujours car ils sont universels… tout est dans la façon de les traiter. Great read,superb topic,dear Aquileana ! You have handsomely expanded on your subject without tiring your readership with superfluous details ! Your writing style runs smoothly and you have made a nice reference to Drama and Aeschylus works ! One day you should come and attend those tragedies in the Ancient Theatre of Epidaurus ( 4th cen.B.C.E.) ,where you,along with the characters of the tragedy,you feel the Catharsis. It is situated within the archaeological site of the Sanctuary of Asklepios, in Argolis.It’s so exciting ! Each time I go to attend a performance during the summer,I am always thrilled ! Imagine,we sit on the same marble tiers our ancestors sit … Isn’t it magnificent ? When I post on these issues I try to do my best to be clear..
As to the Theatre of Epidaurus… I´d love to vist it !… Do they still performance the classic tragedis such us Aeschylus or Sophocles?… It must be truly touching and quite a pathos/sublime moment (as you would say). Much obliged to you for your support and nice comment. Hi there,dear Aquileana ! Thanks kindly for reading and appreciating my words ! Yes,every single summer several performances of Greek Tragedies and not only,take place in the ancient theatre of Epidaurus and they are usually staged by the National Theatre of Greece or of the UK.Occasionally they stage Shakespeare’s plays too.The performances start after the sunset and the atmosphere is so inviting that you relive the spirit of the past and become one with the plot and the characters ! Φύσις κρύπτεσθαι φιλεῖ (Nature loves to conceal herself). I love how you write about mythology because you always present new details that I did not know before. You mentioned the apple, which gets me thinking (oh,,, oh,,, wait until we play with words soon). I think you are so intelligent and are able to express such in-depth topics with wonderful ease and clarity. Thanks for all the delicious details you bring to satisfy my mind’s appetite! I know we are already looking forward to writing something together. At least until now this is a good first kick. Love how you can summarize even the most complicated myths and epic poems the way you do…great resorce for writers too. Thanks for sharing. Quite a well known story but good to re read here. Looks like all received their just deserts – all nice people, of course. Thank you Eric for stopping by and for your comment. Your posts are always so beautifully illustrated and written. Have a wonderful weekend. Thanks Chris for your nice words. Glad that you know now Rachel. Thank you very much for Stopping by… I hope you also enjoy your weekend, hugs . Me gustan mucho tus entradas. Siempre hay algo que me inquieta cuando voy a ver la representación de una tragedia griega y es que casi todas presuponen un trasfondo que quizá, en sus inicios, era de todos sabido. Hoy en día es algo complejo trazar una narrativa lineal sobre los sucesos que se encuentran detrás de la Iliada o la Odisea. Hay veces que, personalmente siento, nos hace falta el trasfondo religioso que le daba tanto impacto a las representaciones tanto épicas como dramáticas. Sin mencionar los desacuerdos había que entre los conservadores como Esquilo y los críticos como Eurípides, por ejemplo. Actualmente estoy muy intrigado por Ifigenia. Eso se debe a la obra de un autor mexicano llamado Alfonso Reyes llamada Ifigenia cruel. A uno se le olvida la importancia que personajes tan devotos tienen para la conformación de la cultura griega a través de su poesía, y se llega inclusive a creer que la gallardía de Aquiles resume los ideales de su cultura; sublimando lo pasional a costa de lo religioso. Muy buen aporte Aquileana. Me gusta la idea de delinear el desarrollo de esta estirpe aquea. Y aún más que menciones el caso de Ifigenia en relación al libro que estabas leyendo. A mi me parece de una importancia fundamental su figura porque es una víctima de su propio padre quien prefiere anteponer la integridad de su patria a la vida de su hija, ofreciéndola en sacrificio, “a cambio de buenos vientos”. 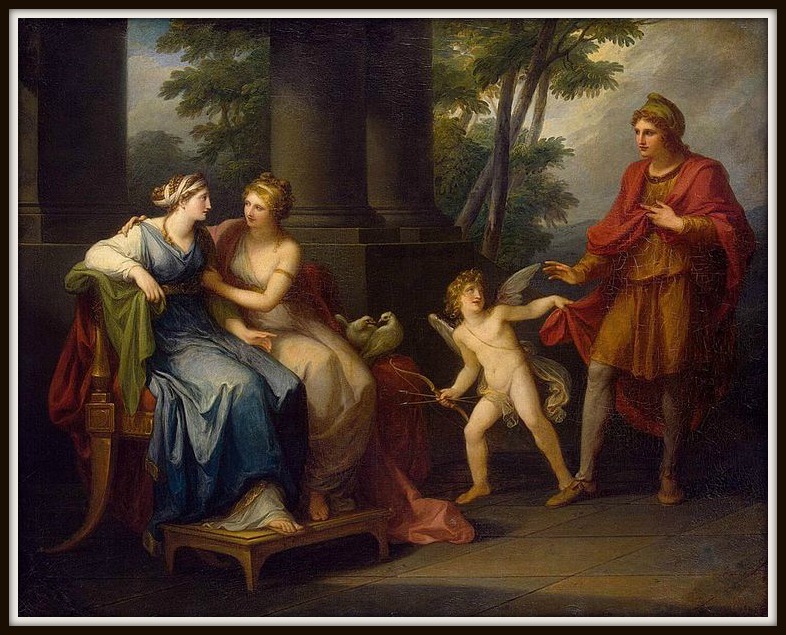 Learning more about Greek mythology from your interesting post, Aquileana. Thank you for your informative sharing. 🙂 Kind regards, Iris. I am happy to know that you found the post useful and informative. Excellent post. I enjoyed mainly the second part about Agamenon, which I didn’t new at all. And as usual, very good pictures!! I also like the second part, related with the murders of f Agamemnon ‘ Clytemnestra and the trial of Orestes. I have read the three tragedies by Aeschylus and they are all of them, highly recommended. Thank you Very much for dropping by to read and comment… Really glad ro read your nice words. Come back whenever you want dear friend. 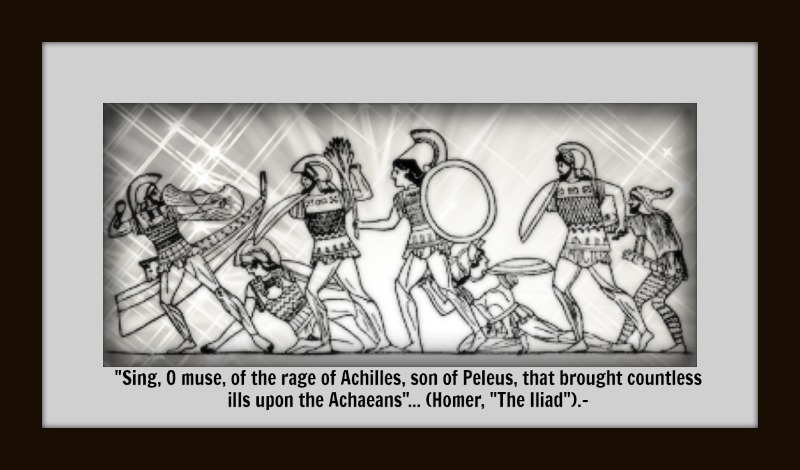 Greek Mythology: "Agamemnon's Family and the War of Troy".- http://t.co/xpPmW5t4nk via @aquileana Brilliant post! I have always wondered about the recurring theme of the “apple.” A most excellent post!! Great summary of the story. Captures some of the story from both of Homer’s Iliad and the Odyssey. Both great works to complemented by Virgil’s Aeneid. And the Iliad starts with Achilles ‘ rage due to his best friend’ s death in the blattlefield. Thank you Kev. I much appreciate your support. Hello Dear Aquileana, wonderful post! Near and dear to my heart, as you know, lol, you did a great job of summarizing the story by pulling many threads into your post, it’s too much for me to presume to add upon what you offer! But, lol, I’m going to anyway, just for the fun of adding to the discourse. 2nd, the reason Menelaus was able to enlist all the Achaean Princes’ support for the expedition to retrieve Helen from Troy, was because all the princes had sworn an oath to protect Helen and to uphold the Prince whom she chose from among them as her husband, when they were all vying for her hand in marriage. This is critical, because without this oath there never would have been a Trojan War. There was no central government at that time, only separate kingdoms and principalities. Perhaps we can thank Helen for uniting Greece, or at least the Agolid, into what became the modern concept of Nationalism! 3rd, in reference, or should that be “reverence” to Mother’s Day (in the USA, at any rate), the Eumenides, being not only the title of the third act of the Oresteia, but the title of the mythological “furies” – the translated meaning of eumenides – are very interesting spirits. They are sent specifically to harass the criminal who is guilty of crimes againt his/her mother! Isn’t it true that our discomfort is most acute if we hurt/offend/disappoint our mom? Imagine how horrible is one’s guilt and self incrimination, God Forbid, if one killed one’s mother! The ancient Greeks were quite perceptive about this particular case, as is made really clear in the Oresteia. I’ve always found this aspect of the Oresteia especially fascinating, and I love that I get to highlight it on Mother’s Day. How wonderful is that?! The Erynnies or Furies became the Eumenides after Orestes’ trial… And Athene helps then to change their dark nature naming them protective goddesses of the city…. Many Hugs to you. Thanks for the interesting points you have shared with me. "Agamemnon's Family and the War of Troy".- http://t.co/GejbipKkIn @aquileana #greece #history #homer #TrojanWar one of my favorite subjects! “Bachofen held that there is a progression that goes from the matriarchal stage which leadsto a definitive Patriarchal stage. Patriarchy in the trilogy is represented by Apollo (male principle) and Pallas Athena (also male, equal to Reason). These gods specifically in the Eumenides are the protectors of Orestes, the avenger of his father who killed her mother, Clytemnestra . For Bachofen, after the acquittal of Orestes, we would go from the reign of the chthonic deities to the Solar uranic stage. Man would emancipate from nature, giving priority to the development of the spirit and the reason, whilst relegating the feminine and bodily aspects to the private sphere”. Oh, excellent, dear Aquileana! I misunderstood, thinking he meant the rise of matriarchy… but you make it clear now, and I feel it is an excellent argument pointing out the ascendency of patriarchy at this point in time in ancient greek societies. The worship of Mother Earth, e.g. Demeter definitely goes into decline about that time, too, not to mention the collapse of the matriarchal Minoan civilization is basically complete by the time of Agamemnon’s unification of the Peloponnese. Which brings me to a question, did you ever look into the allegorical nature of the marriage of the Cretan princess Europa to the Greek king, I forgot who right now, but I’m pretty sure it was only a few generations before Agamemnon, resulting in the transfer of the prevailing economic power from the hands of the Cretans, to the Greeks, that is, the future “Europe” – I’ve always found that fascinating… lol and never had any one to discuss it with! You are so clever, and I am so grateful to be your blogger friend …. I am glad that you got the ideas of Bachofen and thanks for the examples you brought to the spotlight. Your question as Regard to Europe and that Greek King (which name I don’ t remember either), It is totally well timed… I am planning a next post on Pasiphae and the minotaur…. And in the texts I read, Europe was named several times. I think she also felt a sort of sexual attraction towards bulls, at least judging for the paintings I found. The symbolism of the marriage is beautiful and I appreciate you have told me about It. Anyway, I Will have to read a little bit more about Europe, because until now I didn’ t know much about her story. I’ ll be back to tell you what I got. Ah… and as to Europa and Pasiphae, they both have the bull in common !. I have just ascertained it! Have you been blogging lately. I will catch up with your newest post very soon too. Loved the slide show too of pictures.. ..
And the tempting apple once again seems to have caused so much damage! Thanks a lot for stopping by to read and comment. Really glad that you liked the post and found some interesting details as to the origin of the war of troy. I agree with you: once again ( like in the Bible) an Apple cause a not of damage. Maybe It also appears in other Religions too. i Will have to do a liittle research on this topic. Thanks Sue… We’ ll see what the apple brings us. Keep writing about the greek mythology. I am really happy to know that you enjoyed the post.. I love reading your ancient tales. I hope you are doing well and happy as regard to the new book’s release !!!.. I couldn’t agree more as to the apple’s symbolism. No deja de causarme admiración cuán claro estaban identificados los arquetipos (uso este término de manera coloquial, aclaro). Encantada de tenerte de visita. Mil gracias pro tu comentario, y lo el lenguaje es relativo: usa el que te resulte más cómodo. En cuanto a los puntos que has señalado respecto al post en cuestión, yo también creo que existe una simbología profunda en estos personajes, que podría vincularse con la idea de arquetipo, tal como la entendiera Carl Jung… Es cierto que estas genealogías están condenadas a matarse entre ellos y perecer… Es una maldición que recae sobre un apellido o una dinastía que generalmente gobierna una polis o un principado (pienso también, como lo mencionaba en un comentario anterior, en la Familia del Príncipe Hamlet). Gracias por interpretar este aspecto del post, nadie lo había hecho hasta el momento. Inteligente y profunda tu lectura, por lo visto. on 05/12/2014 at 3:01 pm | Reply Maria F.
Aquileana, thanks so much for such a lovely post. I’m very fond of the slideshow you provide with the paintings that express the personality and emotions of each of the characters. “People should either be caressed or crushed. If you do them minor damage they will get their revenge; but if you cripple them there is nothing they can do. If you need to injure someone, do it in such a way that you do not have to fear their vengeance.”- Amazing, eh? on 05/12/2014 at 3:17 pm | Reply Maria F.
Bonaparte´s saying is eloquent, isn´t it?… So well said. on 05/12/2014 at 8:25 pm Maria F.
How eloquent and divine Aquileana. Shakespeare is so poetic and dramatises that human inner turmoil though his ‘soliloquies’. Beautiful video! I hope you are having a nice tuesday over tehre…Glad that you enjoyed the video. This version of Hamlet (1996) is the best one for me… It was direted by Kenneth Branagh, whio also played the main role. 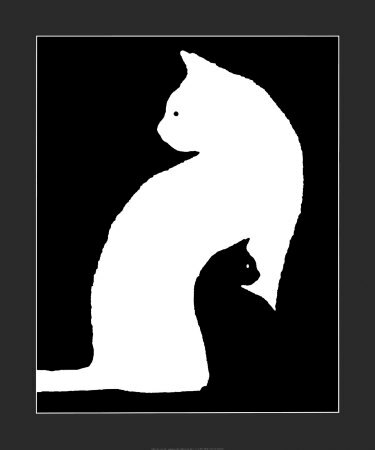 It is literary identical to Shakespeare´s play. Have you watched it?. Nietzsche´s quote is excellent !. I can see him clearly through his words. That´s part of his originality, don´t you think.?.. I will bring to the spotlight some quotes related to revenge too… All taken from the three greek clasics in Tragedy: Aeschylus, Sophocles and Euripides. ►”Stronger than lover’s love is lover’s hate. Incurable, in each, the wounds they make”. ►”Justice brought me back again. I laid my hands on this man from outside, fitting together every device of ill intent. So even death is well for me too, now I have seen this man in Justice’s toils”. ►”Wholly dishonoured, you say: oh, the hurt! and with the aid of my own hands. ► “And if I have to die for this pure crime,/ I am content, for I shall rest beside him;/ His love will answer mine”. on 05/13/2014 at 7:39 pm Maria F.
Machiavelli is so poignant. Yet if one just sees him as a thinker and strategist, one can see beyond what he said. He’s another one that was misinterpreted often. I also think he used words symbolically, as when he says “but if you cripple them”, he’s alluding to emotional damage rather than actually injuring someone. I agree with you… Machiavelli was strategist of statecraft.. He was also misunderstood, as you have well said. I have found a very interesting post over wordpress in which the author held that Machiavelli has been taken as a cynic, but that was a mistake. You can check out the reasons (and a little bit more about this) on the link below. I am adding the most important excerpts as regard to this topic . “Machiavelli’s philosophy differed from the Cynics variously, however these differences can be traced back to their different starting points. The Cynics were, as previously mentioned rational. Machiavelli however, based his assumption on both experience and historical research (or ‘a posteriori’), his inductive approach defines him as an empiricist (and he has been referred to as the first political scientist). Through his empirical approach Machiavelli observed that people are inherently evil. In this view Machiavelli and the Cynics are completely opposed. The Cynical, natural, approach has people eschewing society and its institutions for their inherent corruption while Machiavelli argues them to be necessary and in their maintenance by common endeavour we glorify ourselves. The Cynical view is that we should live our lives according to nature and thereby avoid situations such as war where we place our wellbeing under threat irrationally. 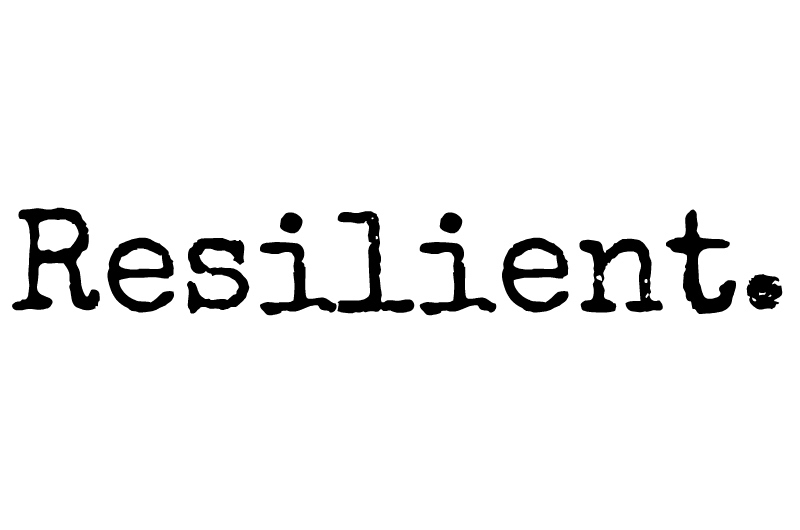 Machiavelli argues that the answer to situations of uncertainty is to attack”. on 05/13/2014 at 11:15 pm Maria F.
Thanks so much for that Aquileana, good night! on 05/13/2014 at 4:31 pm | Reply Maria F.
I meant to make clear that I do not endorse Machiavelli’s quotes, as they are violent in terms of how they could be interpreted by some. I merely thought they added to the theme of vengeance, and how a political strategist such as him would express himself about this matter, in his own time. on 05/13/2014 at 4:42 pm Maria F.
The Greek quotes are fabulous. ”Justice brought me back again. I laid my hands on this man from outside, fitting together every device of ill intent. So even death is well for me too, now I have seen this man in Justice’s toils”-Aeschylus, “Agamemnon”(Aegisthus´ speech) It has existentialist overtones. What I like about the Nietzsche’s quote is its existentialism. It’s as if he were saying: “Stop complaining, and do something about it”!!! He had such talent for facing people with their own weaknesses. No, I have not watched Kenneth Branagh’s version of Hamlet, but now you have me interested! He has a gorgeous voice and diction, and he seems to be a very intense man. I will look him up. Thanks! I also liked Aeschylus’ quote. So powerful, right? As to Branagh’s version, you won’ t regret It. Ophelia is played by the actress of Titanic, Who also son the Oscar award for “The Reader”.It is am outstanding version of Shakespeare’ s “Hamlet”, with actors formes in the Shakespearean theatre company. Hope you can watch It soon. Thank you for following my blog. I really like the images you chose to depict the gods and goddesses. I much appreciate your words..
retribution and revenge prevail throughout both tragedies,although Hamlet’s revenge is ineffectual and delayed … Moreover,we mustn’t forget that Shakespeare read,studied and mastered Homer ,as well as Classical Greek Tragedy and Comedy and he adapted thousands of elements to his plays and poems. Physis prefers to remain something of a mystery … And this is her grandeur !!! De divisione naturae (Περί φύσεων),refers to these four divisions of nature: (1) that which creates and is not created; (2) that which is created and creates; (3) that which is created and does not create; (4) that which is neither created nor creates. The first is God as the ground or origin of all things, the last is God as the final end or goal of all things, that into which the world of created things ultimately returns. The second and third together compose the created universe, which is the manifestation of God, God in process, Theophania; the second is the world of Platonic ideas or forms, and the third is a more pantheistic world, depending on the interference of God. Thus we distinguish in the divine system beginning, middle and end; but these three are in essence one; the difference is only the consequence of our finite comprehension. Well then, I hope you can take a peak and find this philosopher as intelligent and visionary as I do..
Hi again,Aquileana ! Glad you referred to the well-known and most influential Irishman or John the Scot,who was a member of the Neoplatonic School and his Greek was excellent,something quite rare at his time.He strongly believed in the Unity of all things and that we should eventually return to God to find the cause of our being. 1) God 2) Logos 3) the Sensible World and 4 ) God as supreme end. Siempre consigues dejarme con la boca abierta de pura sorpresa. Me fascinan tus conocimientos. En este caso has tocado un tema que me encanta, La guerra de Troya. Hey Aquileana, this has picked my interest in Greek mythology. I think I should find time to read “The Iliad”. The summary you give here is so well done, one wants to grab the book immediately. One of my favourite movies is “Troy”. 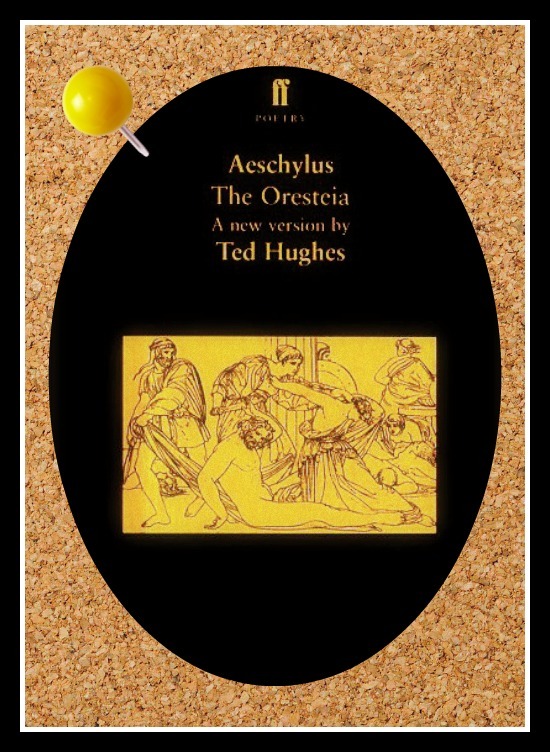 Sophocles’ trilogy on Antigone is excellent… “The Oresteia” by Aeschylus is really worth reading. I am sure you’would enjoy the reading, as the plot of its first two plays has similarities with Shakespeare’s “Hamlet”. Muchas gracias Aquileana ! Hace mucho tiempo que no he leído la historia de la guerra de Troie y que no hé hablado español. Respecto a la Guerra de Troya, estoy de acuerdo con vos… “La Iliada” es un libro para leer y releer. Interesting to read the old stories of Greek, fantastic that I can read them here. Thanks a lot for sharing Aquileana, great literature! Thanks a lot for your comment… It is my pleasure to read it and really glad that you enjoyed this post. Reblogged this on El Azul. 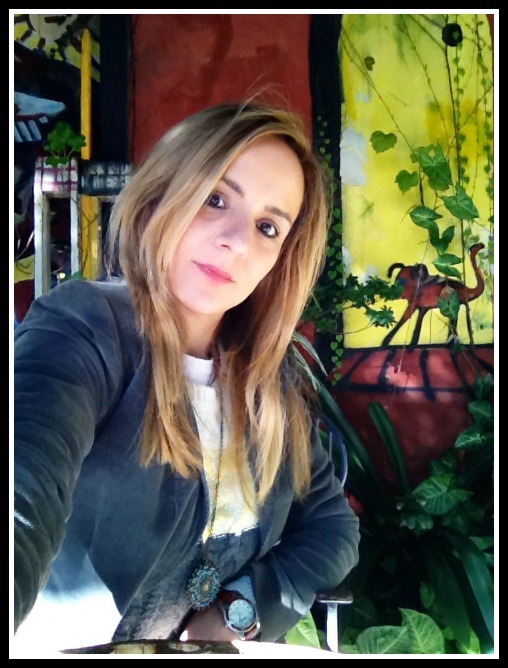 Muchas gracias por compartir este post en tu blog. Ya ves, excelente Aquileana: nos has llevado al gran auto clásico que envuelve tantos asuntos divinos y humanos y de la misma de la inventiva en todo tipo de mitos y de disciplinas artísticas. Todo un caudal: y es que, en realidad y con la ocasión, allí se armó aquello tan castizo “de la de Dios es Cristo”, más tarde por claro. Una entrada de buen gusto. Me alegro mucho de leer tus reflexiones y de saber que valoras estos escritos de mitología griega, que remiten a los orígenes de nuestra civilización occidental. Se corresponde, en lo posible, a la enseñanza y gentileza general de tus presencias y escritos. Todo un abrazo con gran afecto, excelente Aquileana. Al, te sonríe. Grazie mille. So glad that you liked the summary here!. Thanks a lot for sharing on your blog. It is my pleasure. It ties in so well with my tribute to Homer’s Iliad and very well explained. Grazie, cara Luciana … Buon fine settimana a te. Reblogged this on Eternal Atlantis. Another enriching post. Reminds me of the movie Helen of Troy was brilliant and captivating. Thanks to Mélanie above I saw the video clipping and enjoyed it. I am really glad to know that you enjoyed the post and that you liked Melanie´s recommendation. I am happy came across your blog. on 05/22/2014 at 2:01 pm | Reply Faisal J. She was, indeed… And that was because she was named the most beautiful woman (by Paris after the Apple of Discord incident). Also because she was linked to the main causes of the war of Troy. Gracias por tu escrito, me ha gustado mucho. La Ilíada es una de mis lecturas favoritas y todo lo concerniente a la guerra de Troya me fascina. Heinrich Schliemann, de pequeño, recibió una copia de esa obra de Homero y anunció que él encontraría los restos de Troya. Más de 30 años después (luego de haberse hecho millonario) financió su propia expedición arqueológica y encontró, lo que más probablemente sean los restos de esta no tan mítica ciudad. La ilíada y la vida de este alemán me demuestran como casi todos los mitos están basados en parte en hechos reales. Por eso imaginarme a Helena sobre las murallas o a Clitemnestra asesinando a Agamenón, no me cuesta mucho. Sobre esto, hay una interesante “teoría” que habla sobre una probable “conjura de las reinas” en la cuál participaron, Helena, su hermana Clitemnestra, Egialea (pero Diomedes se escapó) y hasta la misma Penélope, pero Odiseo era Odiseo. Dicen que ellas buscaban reinstaurar el gobierno femenino (volver al matriarcado) porque porque el gobierno de los hombres sólo había traído guerra y destrucción ¿Tendrían razón? Perdona que me extienda y que divague, pero es que me haces volar la imaginación. Oh..what a rare treat. You must tweet all your past blog posts ! !